Our fiercest competitors can also be our strongest allies. When we think about our rivals, oftentimes the people that come to mind are the ones whom we’re constantly trying to out-perform — a similarly qualified colleague, the co-worker who’s also angling for a promotion, the straight-A peer in your class whose GPA is just a fraction of a point above yours. 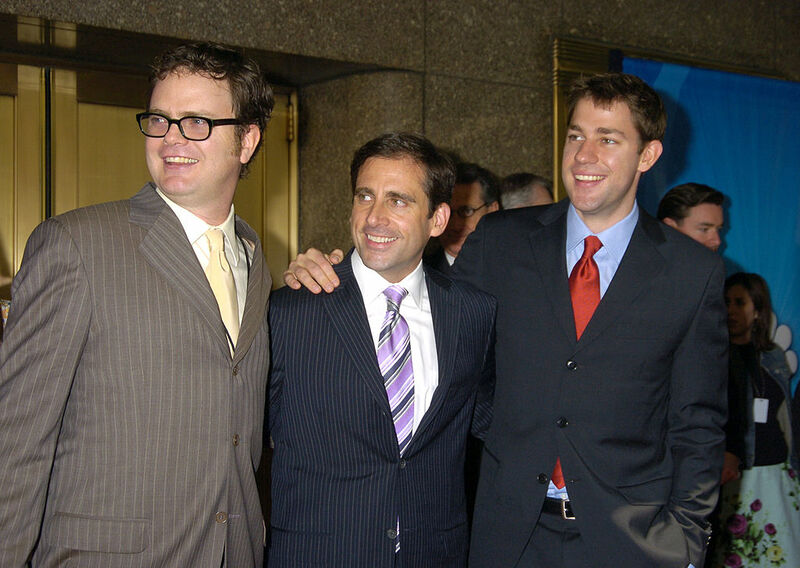 We all know these people (or can picture the sometimes stressful dynamic between Dwight and Jim on The Office), and in truth, they typically push us to work harder and better. But would you ever consider rooting for them? When a fierce competitor becomes an ally, a source of encouragement, or even a friend, that’s called a supportive rivalry — and research shows that it has a direct impact on our performance. “We all have rivals in our work lives. They’re our closest competitors; the individuals or groups we’re highly motivated to defeat. Although we often see them as enemies, our rivals can be our greatest allies,” Adam Grant, Ph.D., organizational psychologist, Thrive contributor, and author of Give and Take and Originals, writes for The New York Times. A 2018 study of professional sports teams, including the National Basketball Association (NBA), National Football League (NFL), Major League Baseball (MLB), and National Hockey League (NHL) found that the better a team performed one season, the better its rival team performed the following season. This was especially true when a rival team won the league championship. The pattern holds for individuals as well. One study found that in a trial involving activities done before and after receiving criticism from a rival and receiving encouraging words from a team member, participants felt motivated to prove their rivals wrong and do their team proud. “People were saying, ‘I was really trying to prove the outgroup [the rivals] wrong and the ingroup [the team members] right’,” lead study author Timothy Rees, Ph.D., senior lecturer at the University of Exeter, tells Prevention. “Those were the ones who managed to boost their performance.” This is how you can truly benefit from a rivalry. It’s when our rivals become our friends that the magic really happens. “Competing against a rival fires up your motivation. If you build a supportive relationship with that rival, it can elevate your performance further,” Grant says. In his podcast Work Life, Grant describes the unusual dynamic of supportive rivalry between athletes on the Norwegian Alpine skiing team. Part of this is due to an emphasis on “owed respect” (the rightful respect each person deserves as a human being) and the Nordic code of humility, or janteloven, stating that “no one is better than anyone else.” These tenets are built into the foundation of their relationships, and create an understanding that teammates can help each other and compete with each other simultaneously. This is why the Norwegian team does something radical: They share information about Olympic slopes. While it seems crazy to provide your competition with the tools to potentially beat you — whether you’re vying for an Olympic medal or a promotion — doing so puts you on equal footing and has the potential to enhance both of your performances. So the next time your gut instinct tells you to beat your rival at all costs, extend an olive branch instead; you might be surprised at the heights you can reach by supporting each other. Carina is a Student Editorial Fellow at Thrive Global. She is currently pursuing a degree in journalism at Lehigh University. Carina is one of the first-ever Nasdaq Entrepreneurial Center Media Fellows, a role that has brought her to the West Coast and back to work with startups and students alike. She interns with InstaSleep Mint Melts, The Nolcha Shows, and the nonprofit organization ArtsQuest, and is a freelance writer for Humanitarian Social Innovations, a nonprofit sponsor. Previously, she worked as an editorial intern at Philadelphia Style Magazine. At Lehigh, she is the Data Graphics Editor at the university's student-run newspaper, The Brown and White. Carina is excited to be a contributing writer for Thrive Global and pursue her passion for writing about topics related to wellness, mental health, and humans' relationship with technology.